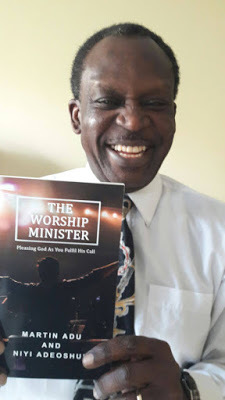 I am privileged and thankful to be able to present to you my first book “The Worship Minister”. Officially release date is today: April 29, 2017. God is good. We had to fix a time to complete the manuscript andnd it fell upon me, (I considered myself the weaker link as he was an experience author with 4 books to his name and publishing on behalf of others). I suggested March this year and now it’s here! The manuscript made it to a real book. What joy to get the proof copy in my hands. I am sooo chuffed!! Don’t just take my word for it (though it is gold) See a very comprehensive review below (long but very insightful). Please click here to get your copy of the book today. Available in paperback and Kindle.